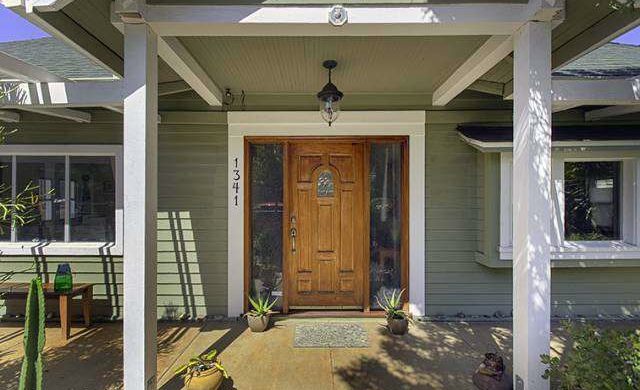 This is the sort of place where someone you know might walk in and say,”Oh my, what a quaint little Craftsman bungalow you have.” Obviously you’d answer, “Why, thank you!” And indeed it is quaint — with 2 bedrooms, 1 bath, a boat load of charm, and a few surprises — this is one cute property. Originally built in 1907, it comes to market for $685,000. With traditional touches like hardwood floors and crown molding, plus a southwest exposure that floods the home with light, there is much here to like. 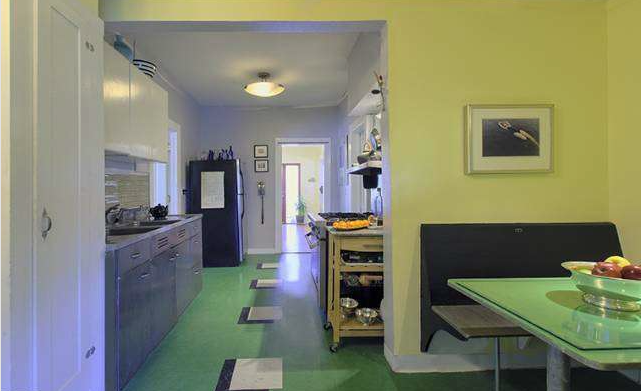 The galley kitchen, with breakfast nook, is definitely a radical departure from the rest of the home, but also a ton of useful fun with it’s throwback green flooring, oversized stove and oven, and tile backsplash. 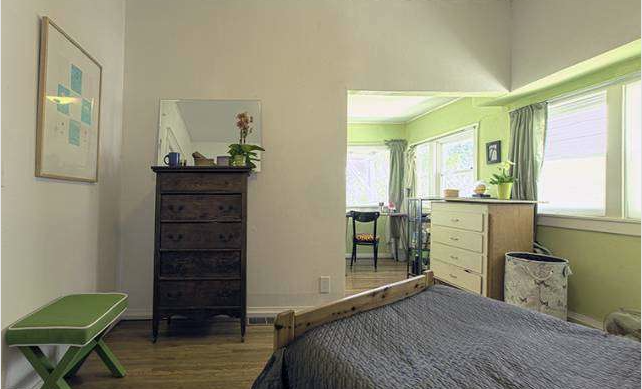 The master bedroom is nicely divided with both a sleeping area and additional space large enough for a small office. 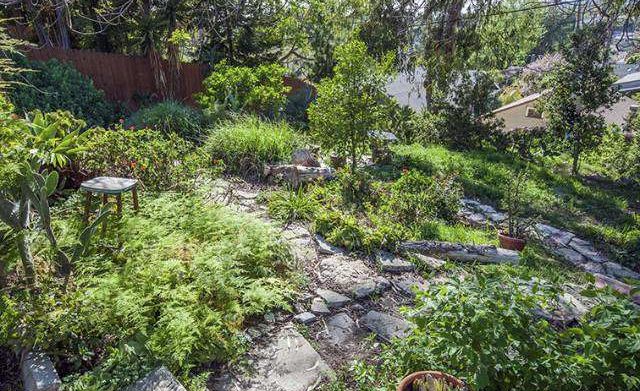 While the house itself is nice enough, the land it’s on is teaming with both drought-resistant plants as well as fruit trees like fig, lemon, guava, lime, plum, pomegranate, olive, and even black walnut. At least the basics are in place for surviving a zombie apocalypse. 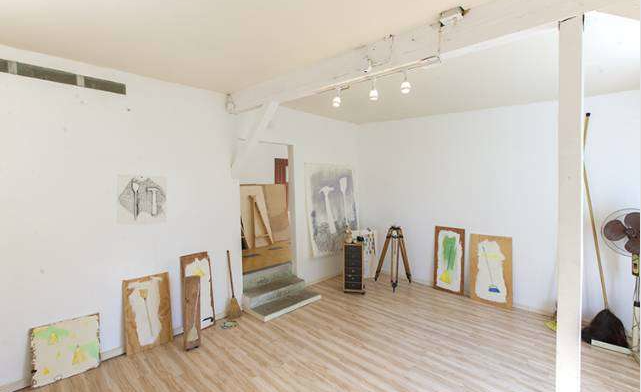 Another fun surprise is the addition of a live/work studio that can provide some extra income. 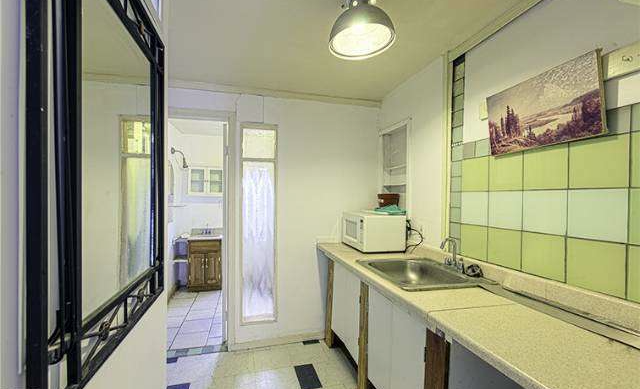 The detached space provides a very well-lit, open work space as well as bathroom and kitchen necessities that should keep any budding artist (or whomever else) happy. 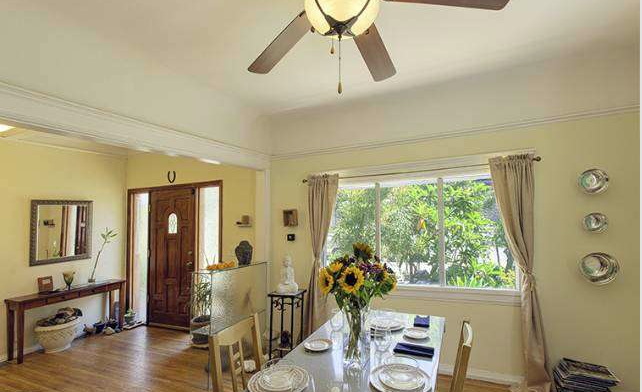 Ruben Rivera of Sotheby’s International Realty, Los Feliz has the listing.